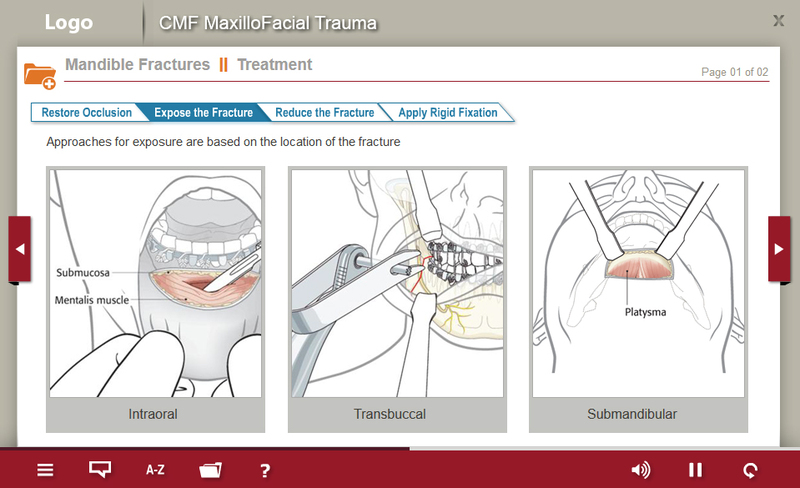 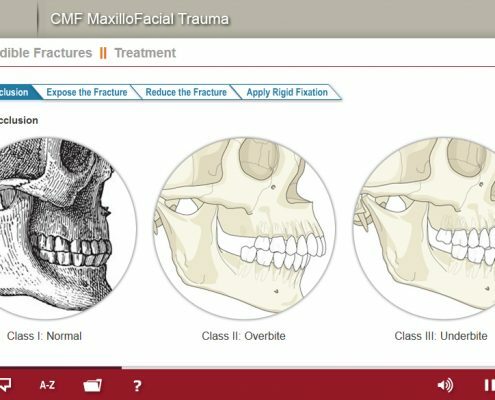 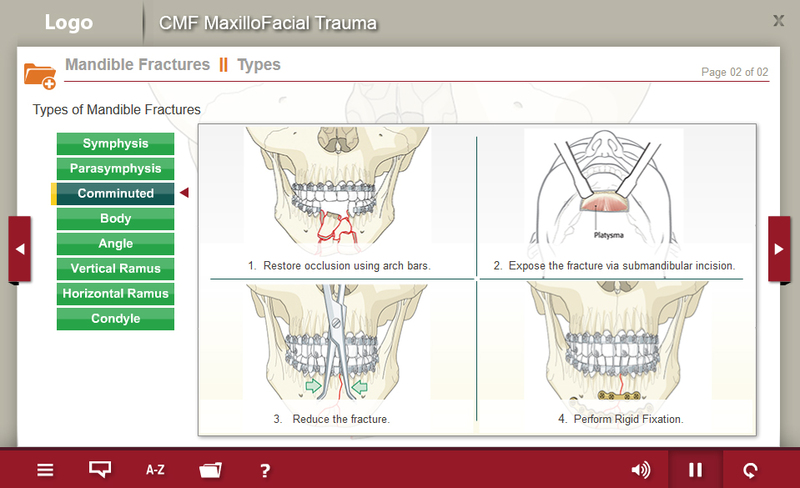 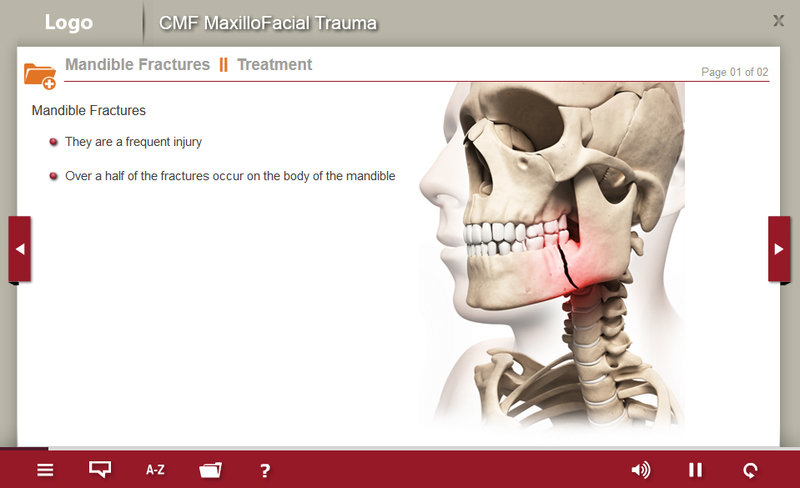 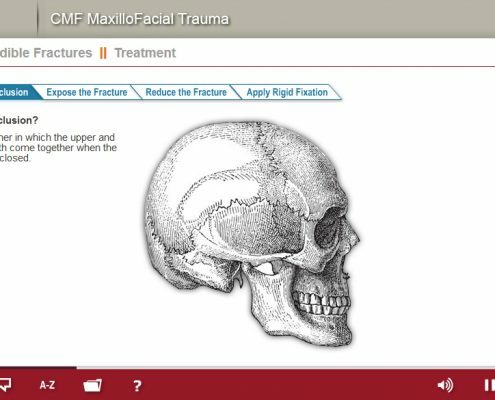 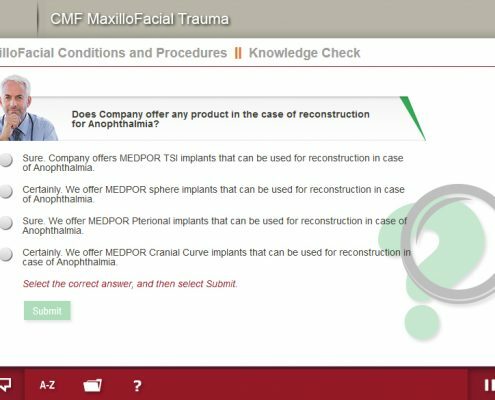 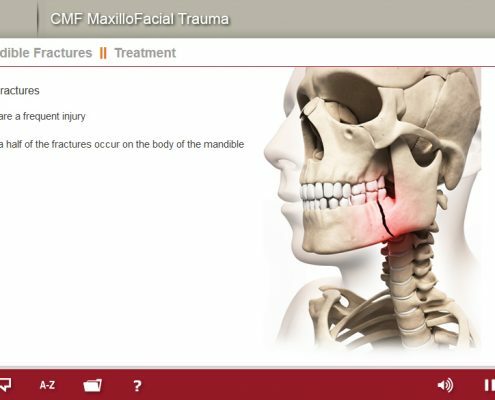 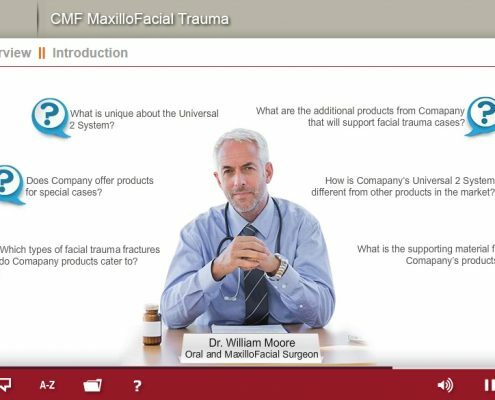 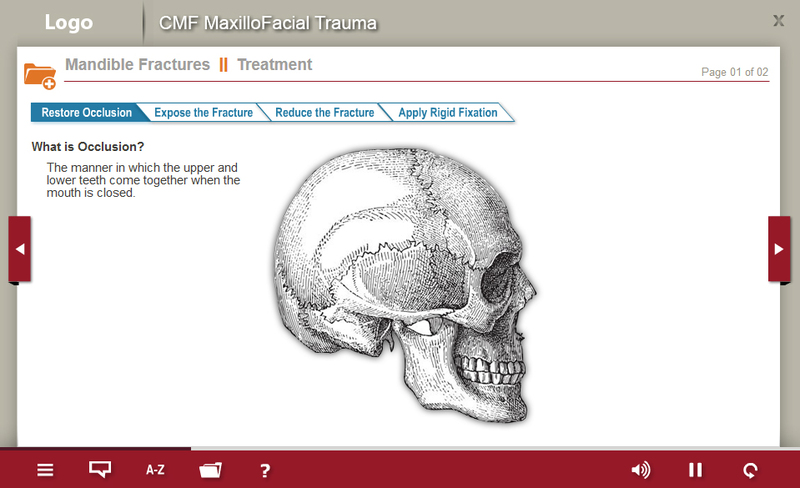 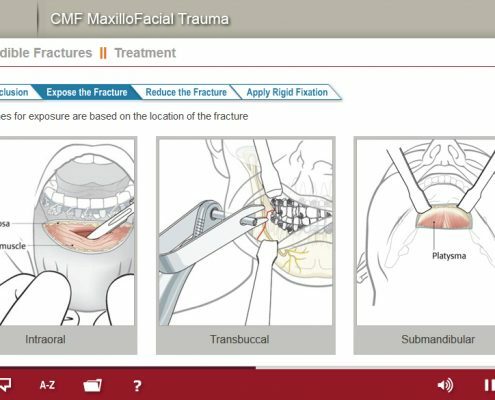 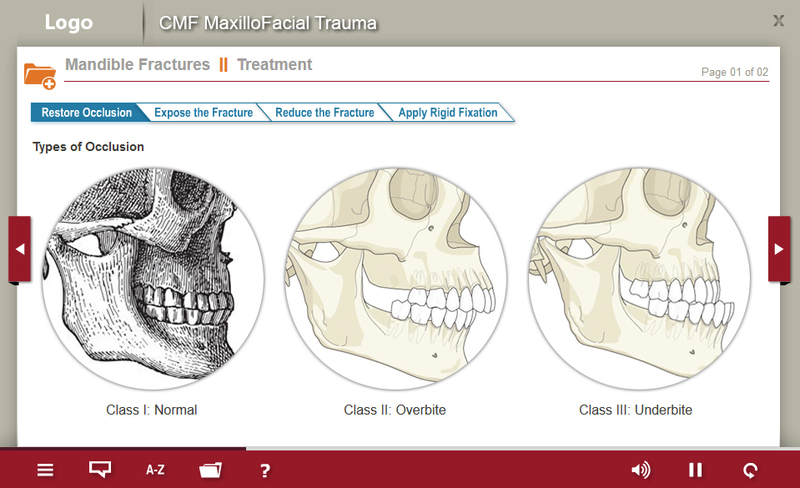 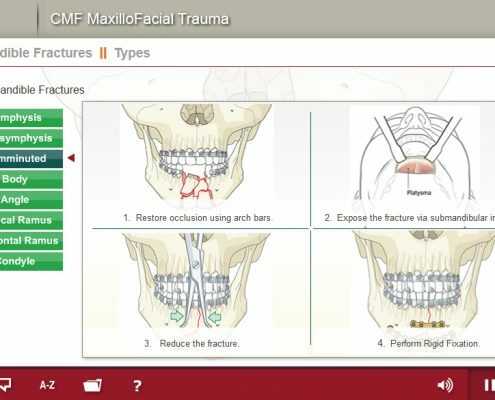 Maxillofacial Trauma is one of the ‘just in time’ trauma modules developed for a US based Fortune 500 medical technologies firm. 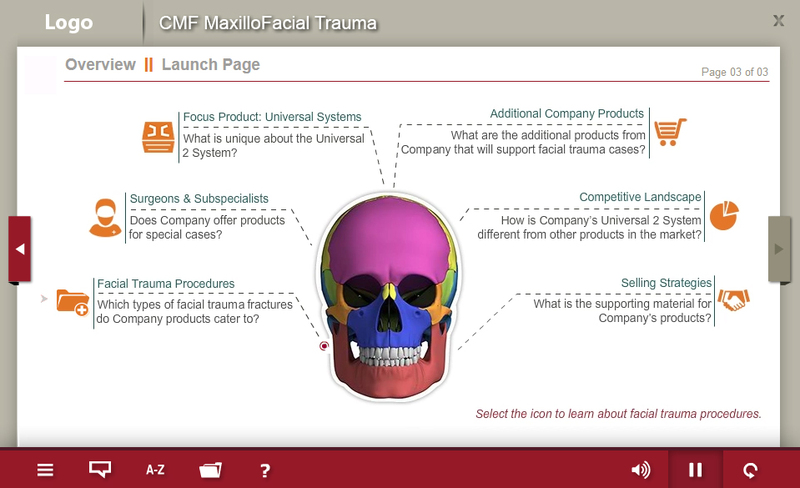 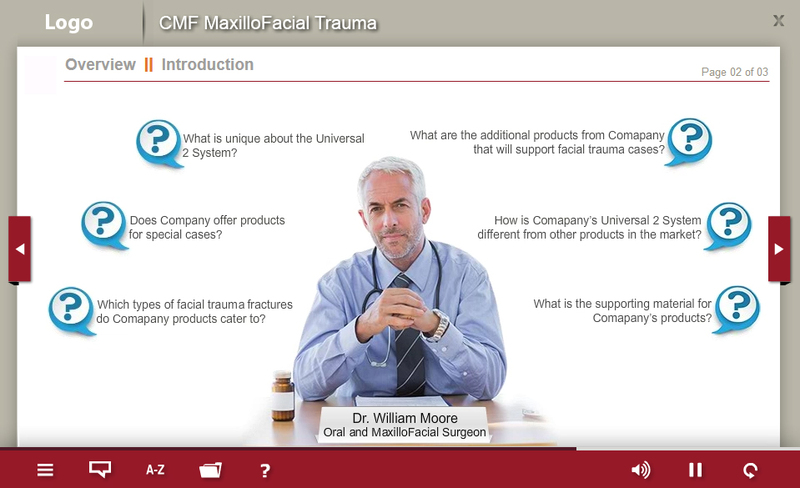 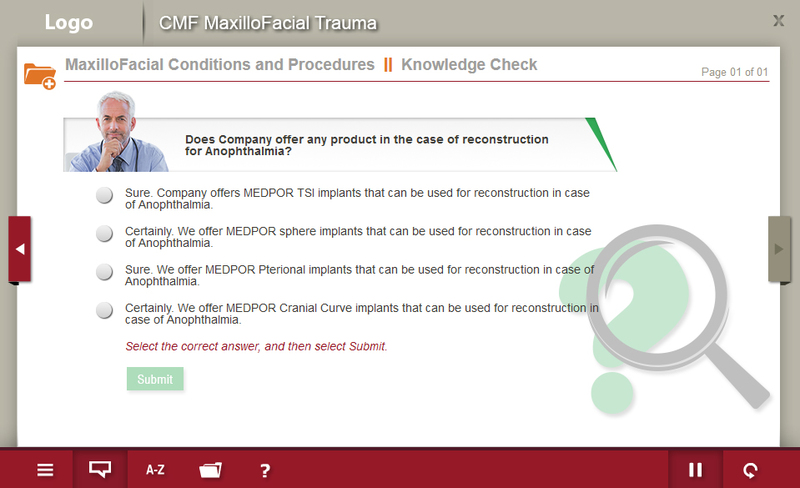 The module gives in-depth understanding of the different products utilized in facial trauma procedures. 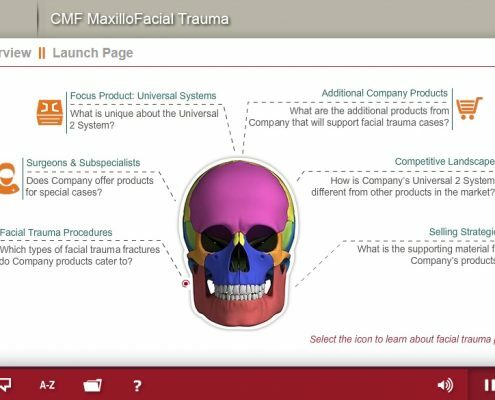 The learning experience is designed to layer the information on interactive info-graphic in the form of text and audio, interactivities, scenarios, short videos and animations.